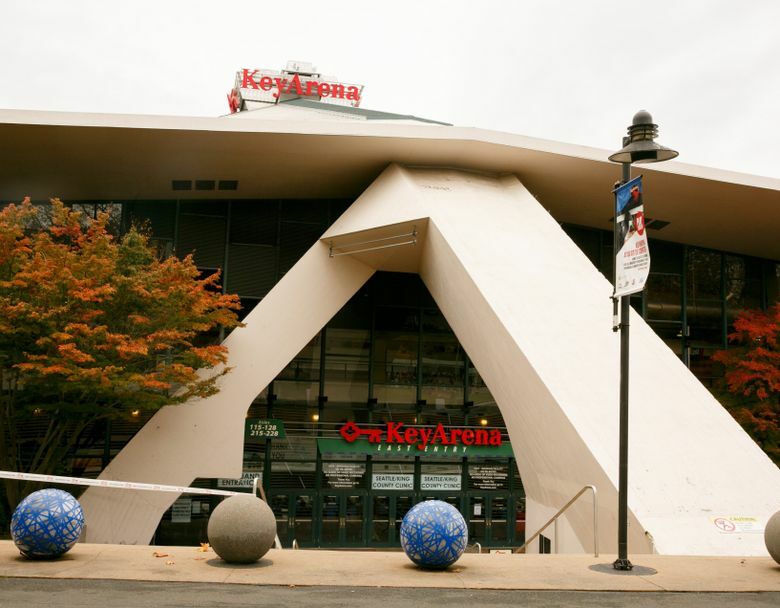 Traffic and parking issues in Queen Anne will be a top challenge in gaining permission to renovate KeyArena. Sports business mogul Tim Leiweke has a plan. Sports business mogul Tim Leiweke was talking arenas with me when he decided to show off some journalism skills. OK, so Walter Cronkite he isn’t. But Leiweke, even when not trying to be funny, is keenly aware that traffic and parking issues in the so-called Uptown neighborhood of Queen Anne will be a top challenge in gaining permission to renovate KeyArena into an NBA and NHL facility. It’s the No. 1 thing he hears from critics of any plan to spruce up the Seattle Center venue. As if to reinforce the point, a KING5 report last week quoted traffic experts citing major nearby delays during the Adele and Justin Bieber concerts at KeyArena last summer. Again, that Adele and “The Beebs” stop traffic is hardly big news. But it’s also something nobody hoping to bring crowds of 17,000 to NBA and NHL games some 82 dates per season can ignore. And it’s something that, despite the naysayers, Leiweke insists his group will have a detailed plan for once OVG submits its KeyArena proposal by an April 12 deadline. Leiweke will tell you Seattle didn’t invent traffic and it’s an issue he’s dealt with on several projects worldwide. Also, that traffic in the Sodo District — site of a rival arena project pitched by Chris Hansen — is a headache he’s experienced numerous times at Seahawks games when his brother, Tod, was their president. But he’s realistic enough to understand that if he doesn’t figure things out, it gives ammunition to folks who want nothing to do with even trying a KeyArena renovation. And one component of his traffic plan will — just like the idea of remodeling KeyArena — involve convincing people that what they thought they knew about something isn’t entirely accurate. Yes, we’re talking about the Monorail. The Westlake light rail station is just below the Monorail entrance. From there, with trains running every five minutes, it’s a two-minute ride to Seattle Center and four-minute walk to the arena. The proposed Sodo arena site is a 10-minute walk from the nearest light rail station. So, those travel times at KeyArena appear negligible compared to Sodo as long as the Monorail’s capacity can handle it. Leiweke surprised me by stating the Monorail can handle 6,000 passengers per hour. That sounded high, so I double-checked with Megan Ching, director of Marketing for Seattle Monorail Services. Ching confirmed the Monorail can indeed handle 6,000 passengers per hour when it runs a two-train service for major events such as Bite of Seattle or Northwest Folklife Festival. Now, it’s worth noting the 6,000-capacity involves 3,000 people going in each direction to and from Seattle Center. When games are occurring, riders will mostly head one way — either to the campus to start the game or away from it after. So, that’s actually 3,000 people — not 6,000 — out of 17,000 you can count on getting in to KeyArena via the service in the hour before games. In those cases, you’ll have your entire light-rail ridership piling into Monorail cars at the same time. So, the existing service is at least a start at cutting down projected traffic. We’ll see whether the formal proposals in April offer any planned expansion of Monorail capacity. Leiweke wouldn’t go into further detail, citing competitive reasons. He did say his group has also explored adding Uber, Lyft and Curb rides into their planning. This is why critiquing the KeyArena process is difficult before bid details are released. Until we get full details, we just won’t know. And if this arena process has taught us anything, it’s that we don’t know everything. We didn’t believe a KeyArena renovation was possible while maintaining the roof structure until the AECOM report in 2015 told us it was. We didn’t believe the NBA would be open to such a renovation until commissioner Adam Silver told us he was. We didn’t believe private groups would pay for such a remodel — even beyond AECOM’s projected price — until OVG and the Anschutz Entertainment Group told us they would. We didn’t believe the Monorail was anything but an underused tourist gimmick until Leiweke told us it wasn’t. And we won’t know whether everything Leiweke’s group and AEG envision can be implemented with any practicality until we see detailed plans. But for now, at least where the Monorail is concerned, I’m guessing most out there never believed it could be a key part of the solution. And given how everything in this arena saga keeps unfolding, that’s the biggest clue it might work.